The story of Jesus and his followers continues with this study of the book of Acts, in which the new community of the church faces struggles but also encounters the power and living presence of the Holy Spirit. The book of Acts picks up where the story of Jesus and his followers leaves off in the gospels (Matthew, Mark, Luke,John). As the narrative continues, we discover what happens as Jesus goes to the Father, as the Holy Spirit comes to Jesus' followers, and as the church forms and spreads. 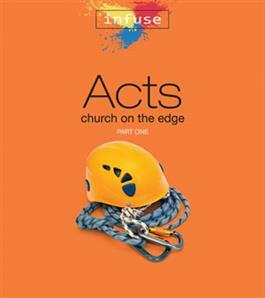 Acts presents the new community of the church in its finest hour—facing struggles and often under attack, but unstoppable with the incredible power and living presence of the Holy Spirit.